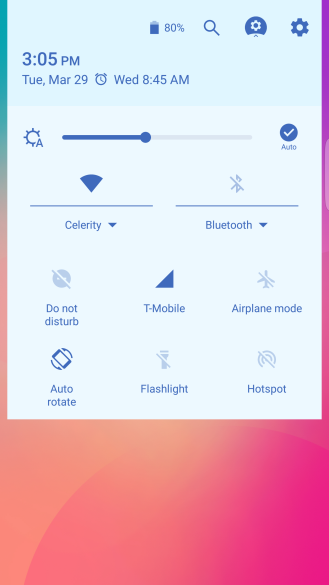 The design of Samsung's system UI hasn't changed much in the last few years, except when it comes to cosmetic things like icons and colors. There's a whole theme store that can alter that stuff. In the Galaxy Apps store, there's a new app called Good Lock that goes further by enabling an "advanced system UI" on the Galaxy S7. It's really bonkers. The name is a little misleading as Good Lock does more than change your lock screen. That's where it all starts, though. 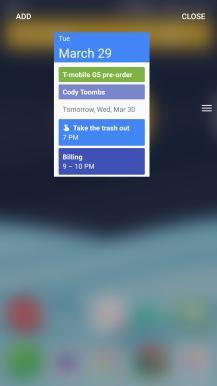 You'll get an expandable list of app shortcuts at the bottom, and the clock can be swiped down to open a widget list. This is awkward because swiping down from the top of the screen still opens the quick settings. That's where things get crazy. 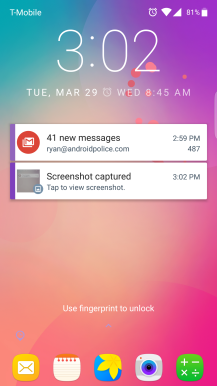 The notifications, quick settings, and even the status bar have been re-skinned in Good Lock. This all seems much more deeply integrated with the system than a conventional lock screen or notification replacement. 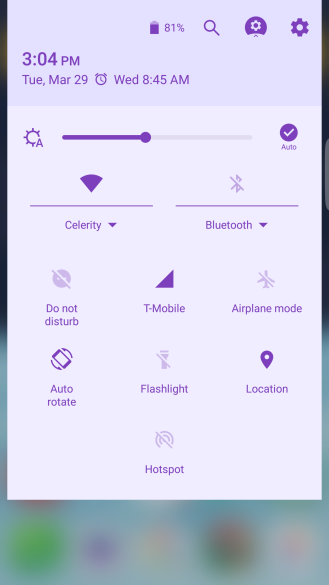 In some ways, it looks more like AOSP with the revamped quick settings page. Notifications are weird, though. 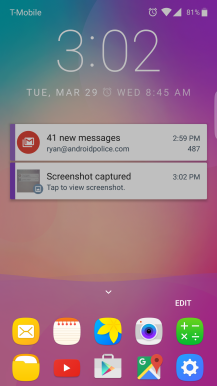 You've got the main notifications, but you can swipe them over to a "keep" area that, well, keeps them. There are also notification categories. It's more complicated than the stock UI for sure. You might also have noticed the weird lavender UI in most of the screenshots. That's the default look, but you can change that in the Routines. It's like a learning feature that changes the lock screen based on time of day. 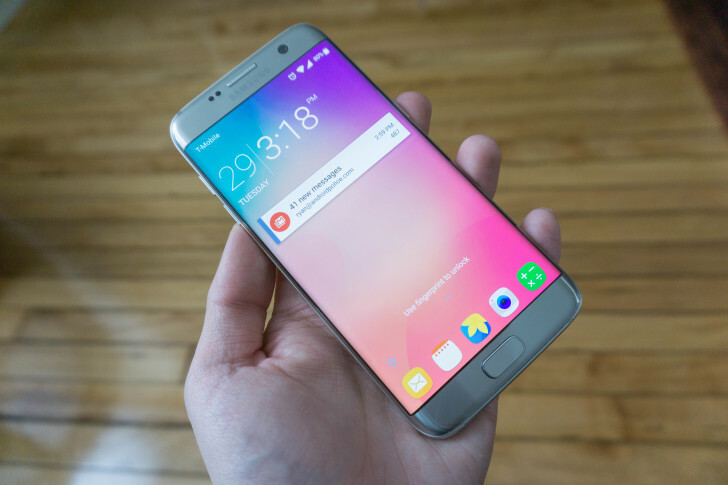 If you want to dive into this wacky advanced UI, it's available in Galaxy Apps for the GS7. If it's not available on your device or in your country, we've got the APK if you want to try it.